If you are a regular visitor of this blog/site you'll probably remember Cosmic Trip Machine and their first CD-r Lord Space Devil reviewed on Lost-In-Tyme (June 2008) by Mr. Rainy Day Sponge !!! I still remember how excited he was about that album when he first listened to it !!! Since then, Cosmic Trip Machine find their way to discography and their new album The Curse of Lord Space Devil is distributed by Nasoni Records on CD and vinyl !!! Cosmic Trip Machine claims that "this particular review on Lost-In-Tyme in June 2008 had a snowball effect. You were among the first to believe in Cosmic Trip Machine when no one else did, and you proved it with a Lord Space Devil review on your blog". I believe that their music was (and still is) good enough to reach a large audience. So, it was a matter of time to find more people to believe in their music and it's obvious that they found them under the Nasoni Records label. And of course to all of you who like, listen and maybe? buy their music !!! 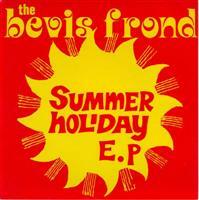 Bevis Frond - 1993 - Summer Holiday E.P. Graham Davis : Guitar, Vocals, Bass, Keys, Writing, Recording & Mixing. It's green, it's mean, it's the... "Dope Idiots" !!! Magnificent Brotherhood's second studio album is featuring 12 songs for your ear's and feet's delight. 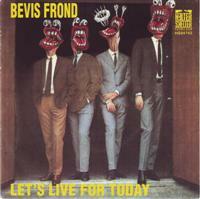 Forthcoming album for Argentinean Power Pop quartet. Argentinean singer/songwriter and Baby Scream leader Juan Pablo Mazzola has returned with his latest offering, "Baby Scream", a heady combination of classic rock licks and power pop sensibilities that sits comfortably between Lennon and T-Rex. tender (and sometimes repressed) feelings, and often points -and refers to- nostalgic visions. Debut album from Bristol based guitarist/songwriter James McKeown. James McKeown is the guitarist in Bristol based luminaries Hi-Fiction Science. Whilst their music is based around a unique blend of Krautrock, Folk, Post-Punk and Electronic influences. James' debut album is an introspective journey into quintessentially English lo-fi melancholic dreampop. Yesterday's Thoughts third album A Moment to Pray is here! Screaming farfisa and soul arousing vocals powered by Dimitris Megedisidis, totally 60s sounding, brain melting stellar guitar performed by Spyros Megedisidis, plus the time bending, playful rhythm section of Lefteris Galanis on bass & Giorgos Vagiatlakis on drums. After being around for twelve years they decided to lock themselves in the comfort of their own studio along with Sound Effect Records vintage analogue recording gear for two years! Solo debut by SigneLine Lundstrom alias Bumble B., member of The Smell Of Incense. 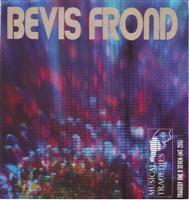 Presenting a collection of traditional folk songs from Norway. She plays viola, violin, flute, various bells and she sings. On some tracks she's joined by musicians on pedal organ, indian harmonium, e-bow guitars, sitar, classic & acoustic guitars, flutes and bodran. Limited edition of 400 copies, vinyl only release. 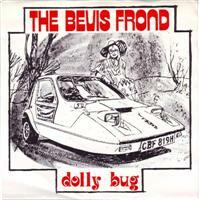 Coming with paste-on sleeve artwork by Bumble B. and contains an insert.